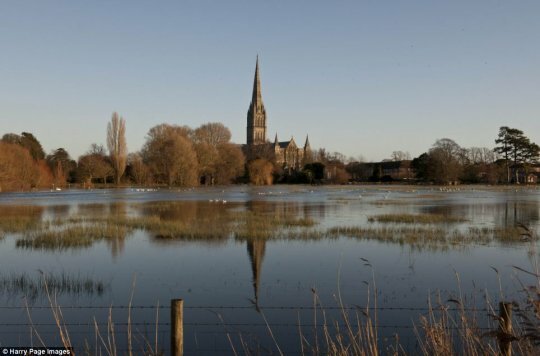 Those members who attended the Chamber's 90 Minutes networking lunch on 6th January will have heard a compelling talk by Nick Reed from the Environment Agency about how to prepare your business should the horror of flooding hit Salisbury. Just because your business is located on the first floor of your office building doesn't mean you wouldn't be affected by loss of vehicular access; loss of electricity, phone and IT supply; lack of deliveries; failure of drainage systems etc etc. We strongly recommend our members to download this PDF by clicking here, to register with the Environment Agency for flood alerts and to prepare a robust flood plan for your business in accordance with their guidelines. It is far better to look ahead and prepare than to look back and regret! We also suggest you look at the National Flood Forum website. They are a charity set up following the floods of 2007 and they offer lots of valuable information and advice. They publish a directory called "Blue Pages" which is an independent directory of flood protection products and companies. Click here to access their website.